The ultimate solution to convert and distribute IBM host data. Server based solution for System z® and System i® transforms. The Blue Server is a powerful server based transform solution that converts and distributes output from IBM System z®, IBM System i® (IBM Power), Infoprint Manager and other platforms. 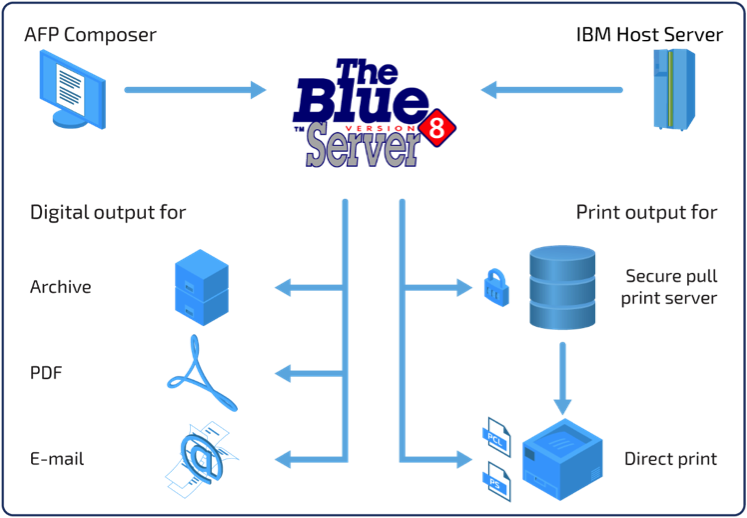 Blue Server enhances any document workflow without the need to modify the applications generating the data. Hybrid mail Efficient mailing operations. Mail solutions cut costs, save time and increase productivity. The Hybrid mail solution enables an organisation to manage all posting and mailing operations directly from a standard desktop environment. 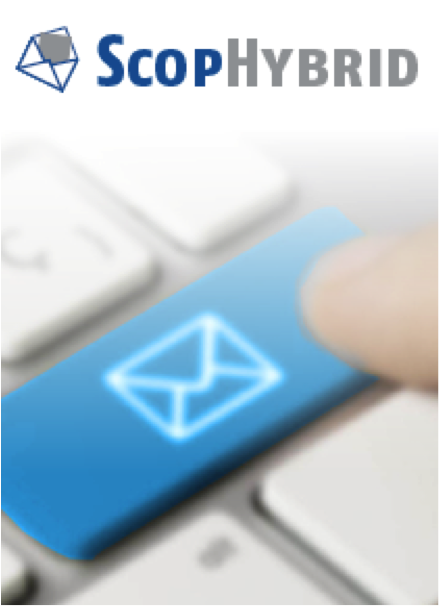 Hybrid is a highly configurable, easy to use and a quickly deployable hybrid mail solution. 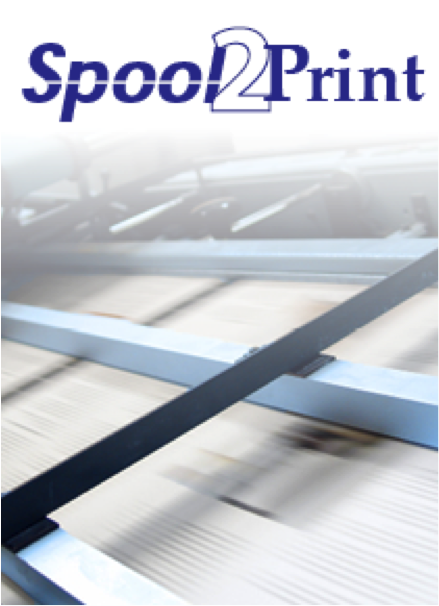 Spool2Print™ is a very powerful Spooler, an Enterprise Output Solution designed to simplify, print, monitor, customize, archive and distribute business critical information, capable for instance to drive the fastest IPDS printers on the market.